Why would I need self storage in Glenview, IL? There are a variety of reasons why you might need self-storage in Glenview, IL. How much is a storage unit in Glenview, IL? The cheapest storage unit in Glenview, IL is $30.00 per month. What size storage units do you have available in Glenview, IL? In Glenview, IL we have sizes that range from 3'x5' to 10'x35' to suit your storage needs. How much is it for a 3'x5' storage unit in Glenview, IL? The cheapest 3'x5' storage unit in Glenview, IL is $39.00 per month. 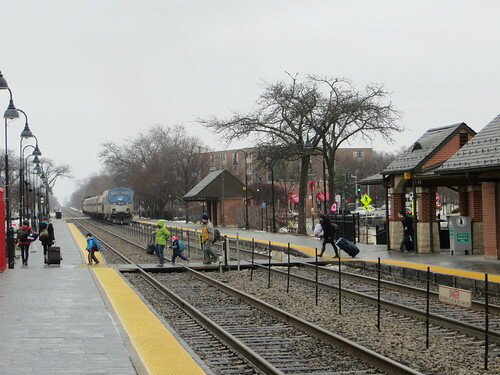 Glenview is a steadily-growing village in Chicago's northern suburbs, known for its extensive parks and green spaces, convenient amenities and numerous shopping and dining options. Glenview was first settled by freedom-seeking pioneers in the 1830s. The area grew quickly in its early years and was incorporated as an independent village in 1899. Glenview is home to thriving businesses in several sectors. Several large corporations and non-profit organizations are headquartered in the village. Electronics and appliances retailer Abt Electronics, pharmaceutical company Astellas, and Glenbrook Hospital are Glenview's largest employers. As a Chicago suburb, Glenview's economy is closely tied to that of Chicago. The largest industries in this metro area include professional and business services, trade and transportation, education, and health services and government. If you can't find a job to suit your needs in Glenview, Chicago is just a short commute away. Glenview has an extensive network of parks and recreational facilities, several of which feature historic properties. Each of the village's facilities has distinctive features, providing a variety of programs and entertainment. The Park Center is one of the largest community centers in the state, located on the edge of Lake Glenview. It features many numerous recreational amenities and community resources, including a preschool, senior center, aquatic park and arts and sports programs. The Grove is a very different type of recreational center, based in a large area of prairie and comprising several natural trails, an interpretive center and a few historic properties. You can learn about and interact with small animals like snakes, skunks and snapping turtles, or view the historic Kennicott House, built in 1856. Wagner Farm is another unique recreational facility, based out of an 1890s farm that was one of the early family settlements in Glenview. Today, it hosts many different farm-themed activities and programs, including horseback riding and tractor driving. Wagner Farm is also the site of the community's regular farmers market. The Glenview School District 34 and Glenbrook High Schools District 225 serve the majority of public schools in Glenview. There are two parochial private schools in Glenview, in addition to a Christian-based campus and a Montessori school for young children. Utilities: Nicor Gas and Commonwealth Edison are the village's energy providers. The village's utilities department manages water and sewer services, and you'll need to contact them via phone to set up your account. Garbage and Recycling: Groot Industries provides collection services for trash and recyclables. Transportation: The Pace Bus offers public transit in Glenview, including connections to the Metra rail system. The most affordable homes in Glenview are located along the village's south side, while higher-end homes are often clustered around green spaces like Glen Park, Glen Club and Glenview National 9 Golf Club. On average, homes in Glenview are considerably more expensive that those in neighboring communities. You can also expect to pay very high rent prices. Our lowest priced units in Glenview, IL average $34.50 per month. 70 people have reserved units in Glenview, IL in the past 30 days. There are 2 locations within Glenview, IL's city limits.